This soap smells just like freshly brewed coffee!! 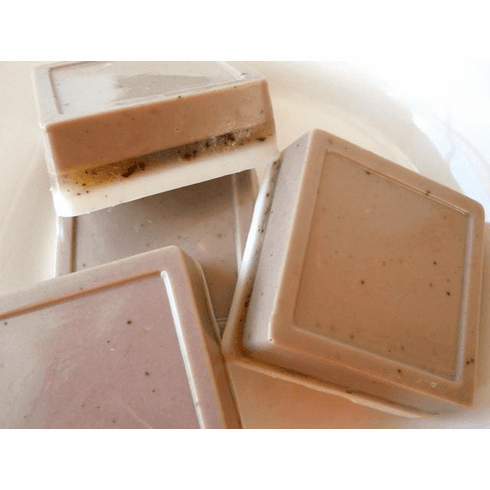 Use this wonderfully exfoliating soap as a kitchen or gardener soap. Will tackle just about any unpleasant scent and unwanted material off of your hands because is contains ground coffee. Plus, before I pour the glycerin soap base, I add a generous helping of hazelnut and apricot kernel oils to nourish cracked, dry skin. Weighs 4 oz. Use on feet or any other dry, patchy skin surface.